Last week I was chatting online with friend and film photographer Mike Williams about tracking film in multiple cameras. Mike knows I have several cameras and was wondering if I had a technique to track the film loaded in each. I keep several cameras loaded with various film types all the time. That’s one of the great things about film photography and using vintage cameras, the variety of film and cameras. I’ve been using Film Rolls for iOS on my iPhone. 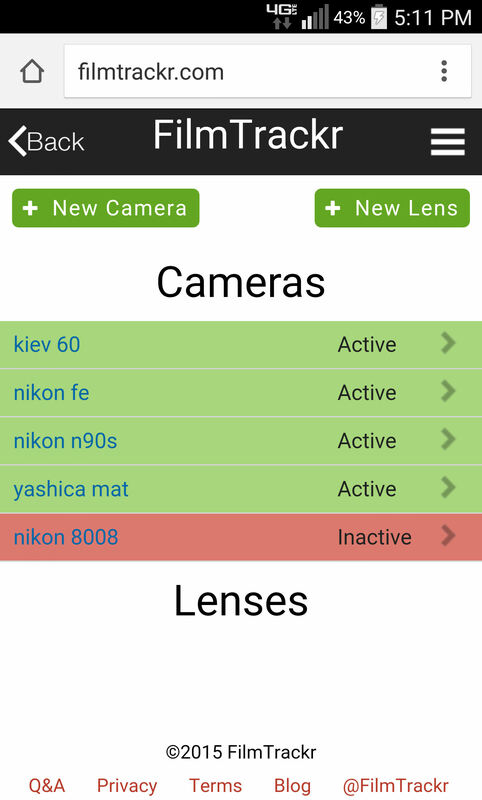 This free app is an incredible tool for tracking: cameras, film type, film speed, and when the film was loaded/unloaded. Aside from just tracking the camera and film, you can also get very specific and record each frame, for example: Frame 1 was 50mm, f/1.7, 1/60, +1. 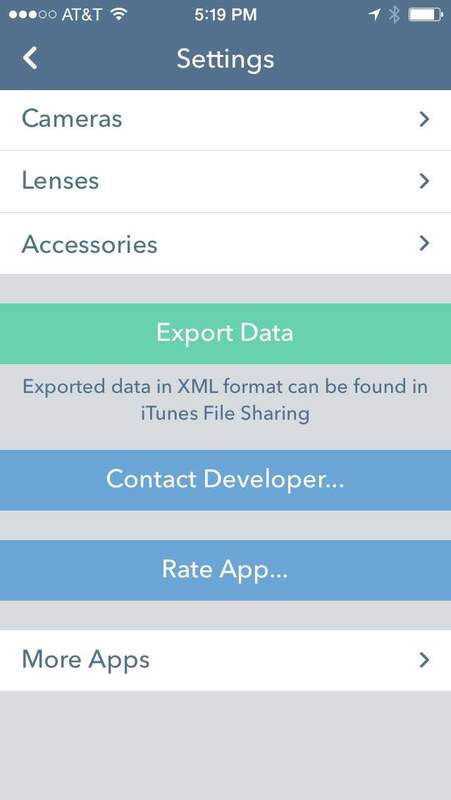 The app will also use GPS to mark the location of that frame. 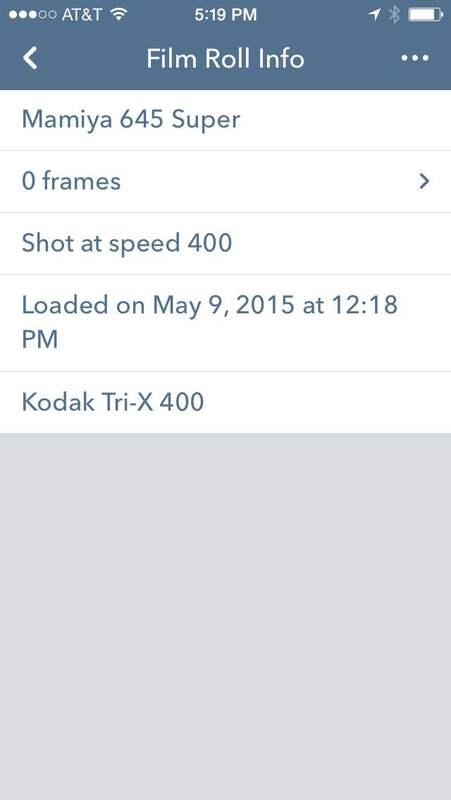 Mike has been using FilmTrackr.com on his Android phone to track his film and cameras. The FilmTrackr website is free, it has simple interface, and it’s easy to use. If you use your phone and log into your account, the mobile version of the website will load with all the same features. 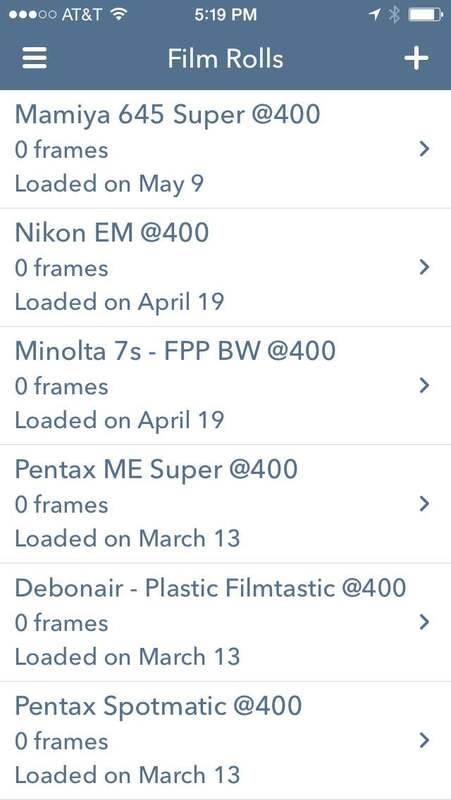 The two features I like about FilmTrackr are the option to move film from shooting to Awaiting Development and Awaiting Scanning. 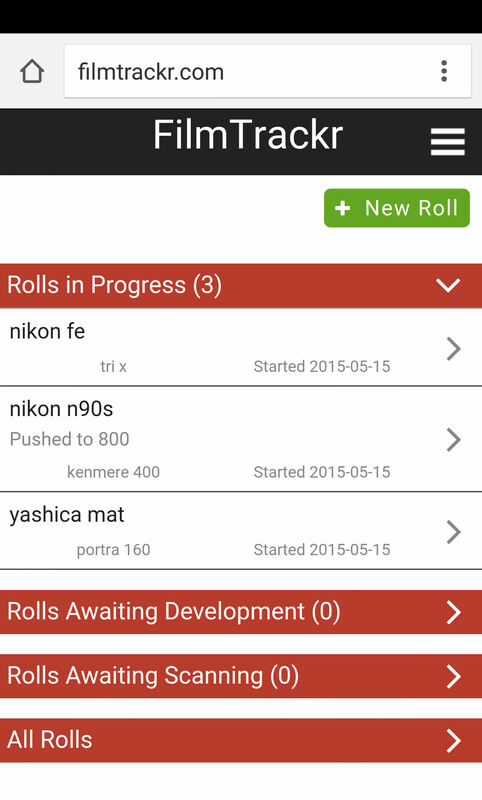 The site also has report options so you can track the number of rolls, film types, and cameras you use most often. 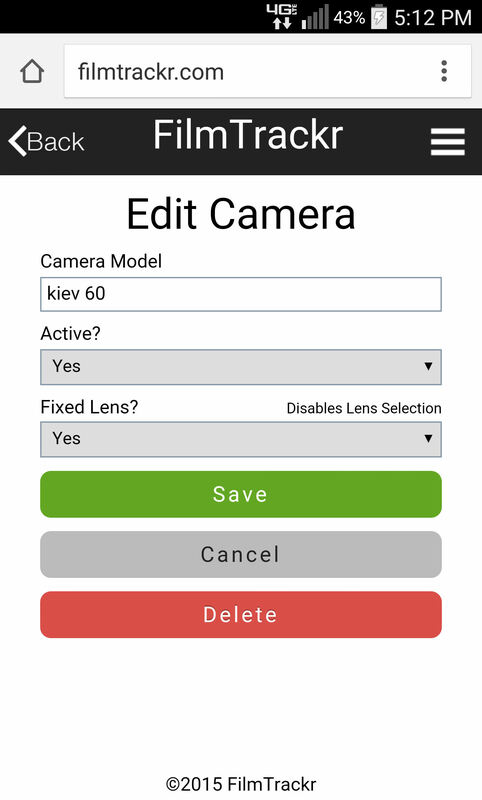 Do you have a preferred method or system to track your film and cameras? Please comment below. I’m sure there are multiple apps and websites that need to be shared. 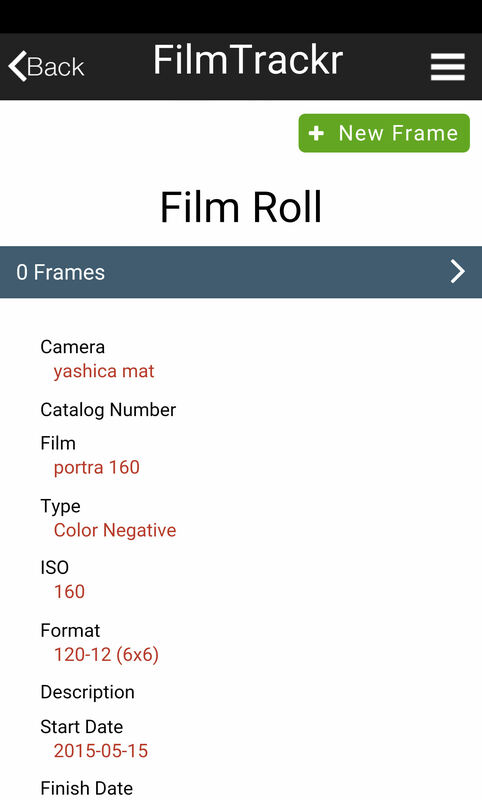 This entry was posted on Wednesday, May 27th, 2015 at 5:00 AM	and tagged with Android, Camera Database, Film Rolls, Film Tracking, FilmTrackr.com, FilmTrckr, iOS, iPhone, iTunes and posted in Thoughts & Opinions. You can follow any responses to this entry through the RSS 2.0 feed. I was unfamiliar with Film Rolls. I’m going to check it out! You guys are fancy, most I will do is use a piece of tape at the back of the camera. Looks like the app works great and very organized, too bad that I am too lazy haha. I tried to keep mine in excel, but I am about two years behind, make it a lost cause trying to catch up, I am a joke. Hi dehk, I am pretty lazy too. The good thing about filmtrackr, and film rolls too I would presume, is that after a few minutes to initally set up, it is rather painless to update and use. This is great, I was trying to keep track in Evernote as it’s available on all my devices, but this solution looks more comprehensive. This is great stuff Shawn — i had no idea you had this site set up — great content, photos, etc… wonderful !!! Keep it up — I just downloaded this app and curiously enough – as i was looking at my pile of negs to be sleeved I thought there has to be a better way of keep records other than a notebook. I usually tear off and insert the film package cover into the slot on the camera back if the camera has one to keep track. Will try these apps for the other.